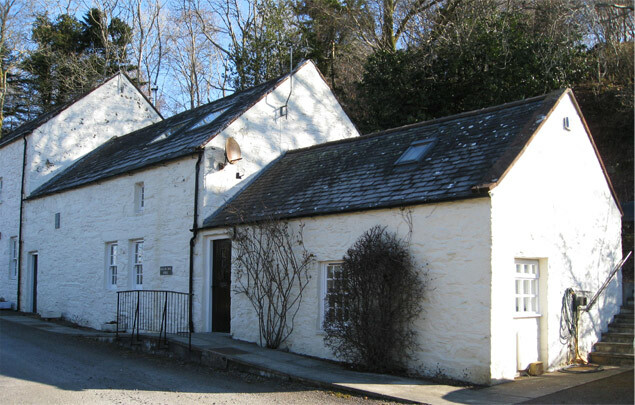 Barlay Mill Lodge is a comfortable, welcoming holiday cottage available for holiday letting all year round. It is a recently fully renovated Grade C listed property and fully furnished for self-catering. This comfortable accommodation is set over 2 floors on a rural road on the outskirts of the picturesque village of Gatehouse of Fleet, which lies within a National Scenic Area. It is an ideal base for a holiday in south western Scotland. The Lodge is easy accessible from the main A75 Dumfries to Stranraer trunk road. 1-4 guests can be accommodated in the Lodge. It is well placed for exploring the beautiful and varied countryside of Dumfries and Galloway and the sandy beaches of the Solway Firth. The building originally served the attached water mill and provided a drying area for barlay as well as accommodation. The property is shown on Ainslies map in 1797 and was once the family home to the well known Scottish artists of the Faed family.